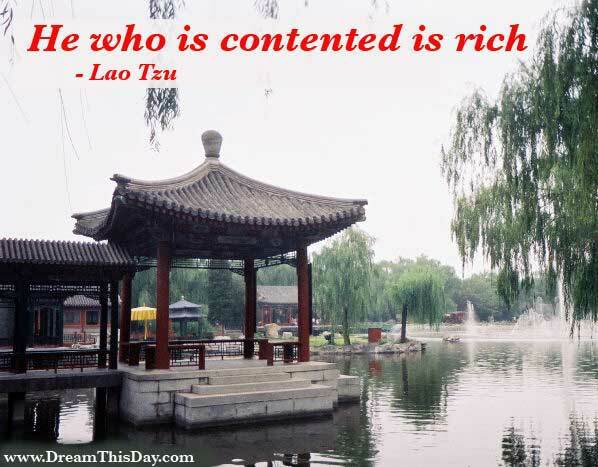 Thank you for visiting these Lao Tzu Sayings and Quotes. I hope you find value in these Lao Tzu Quotes and Sayings from my large collection of Inspirational Sayings. Be merciful, moderate, and modest. A tree that is unbending, is easily broken. Be simply yourself and don't compare or compete. He who knows himself has discernment. the hardest things in the world. Those who have knowledge, don't predict. Those who predict, don't have knowledge. The Tao of the sage is work without effort. Practice non-action. Work without doing. the same line viewed from different sides. but he who has mastered himself is mightier still. Keep sharpening your knife and it will blunt. Thank you for visiting: Lao Tzu Sayings - Lao Tzu Quotes - Sayings by Lao Tzu.